Tyson has extensive talents and experience in leadership, management, organization, finance, communication, independence, and creativity, while constantly striving for incremental personal growth. He seeks to have a positive, lasting impact on his customers, clients, their families, and the local communities. He is a determined and diligent student of the industry. Tyson’s work experience includes three years as a Right-of-Way Agent, negotiating land and rights acquisitions for the public utilities. He is comfortable with legal terminology and has maintained impeccable communication records. He is familiar with records research, including titles, deeds, and mapping. 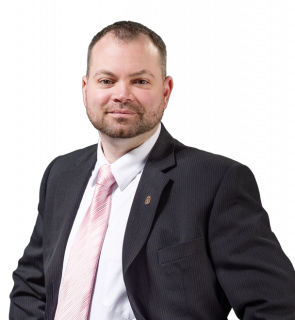 Tyson is a lifelong resident of Litchfield County and enjoys community involvement and developing relationships with key referral sources, with which he collaborates efficiently. He is an effective trainer and motivator and a creative and optimistic problem solver. His professional, personal appearance and unwavering sense of honesty, integrity, and responsiveness make him a great friend and the best choice for your real estate needs.